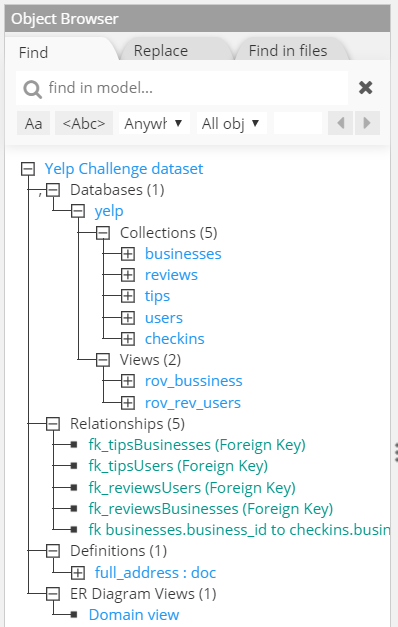 The left-hand pane shows a dynamic tree representing the hierarchy of objects maintained in your current model. The tree is collapsible, but expanded by default. For large models, it can be quite long. You may adjust the width of the pane by moving the vertical ellipse separating the Object Browser and central panes. You may toggle the appearance of the Object Browser pane by choosing the menu option View > Object Browser. To collapse a tree branch, click on . 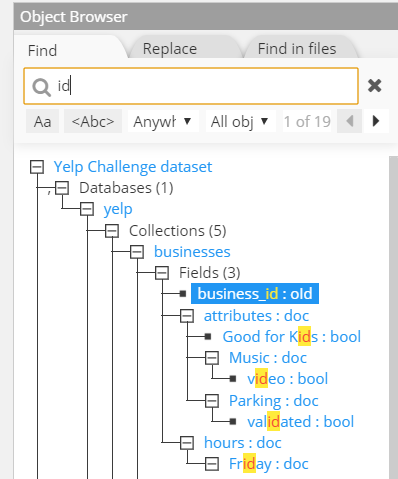 To expand a tree branch, click on . To see the properties of an entity, simply click on it. The central pane and properties pane will dynamically adapt to the selection. It is possible to toggle the appearance of the Object Browser pane from the workspace by choosing the menu View > Object Browser.Pane. A contextual menu appears if you right-click on an element in the Object Browser.